Part of the brand's signature Vintage Collection, Casio introduces the classic Calculator Black Watch. This accessory is water-resistant that features a mini calculator below a mineral crystal digital display. Made from a durable polished metal construction, this timepiece offers a retro design made for contemporary function and style. 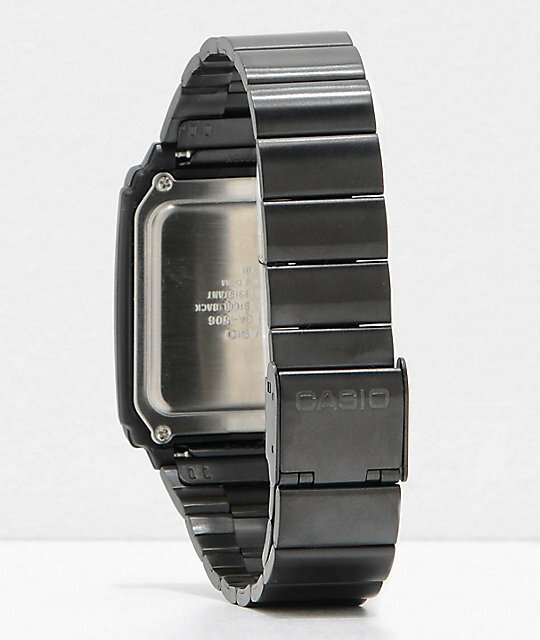 Black Calculator Watch from the Casio. 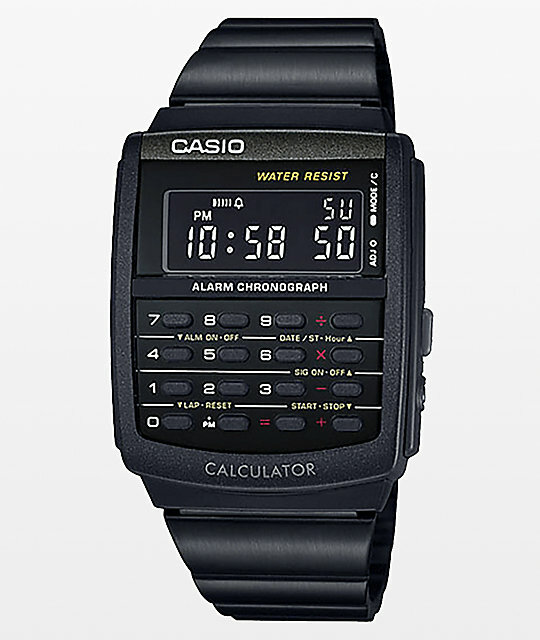 Part of Casio's Vintage Collection. 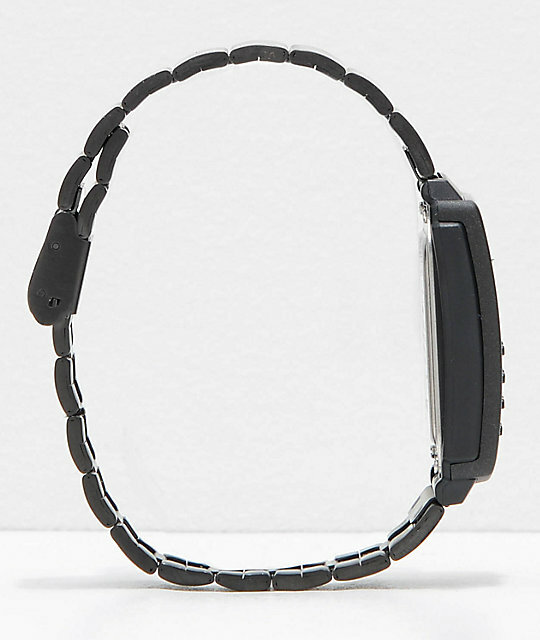 Sleek black stainless steel case. Digital display with date, day & seconds. Alarm & stopwatch display indicators. Stainless steel band w/ locking clasp. Dimensions: 1.25" L x 1.25" W.